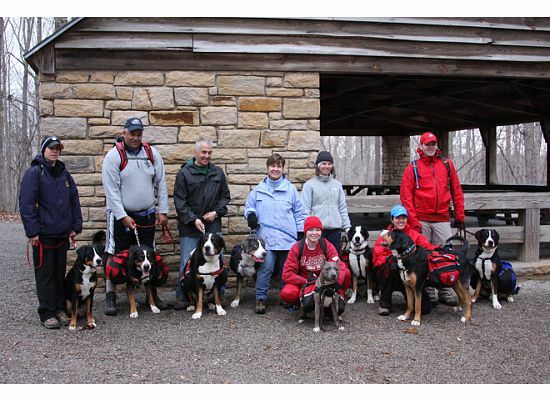 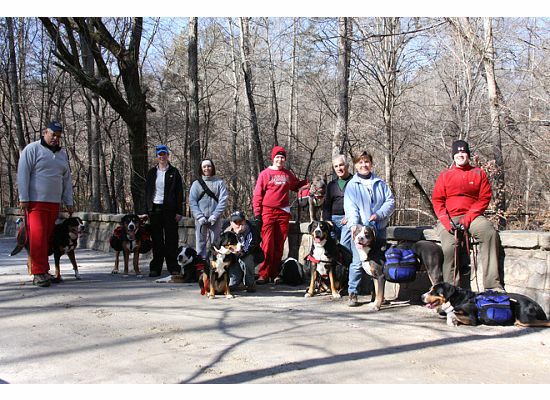 Pack Dog is another great working event offered by the Greater Swiss Mountain Dog Club of America. 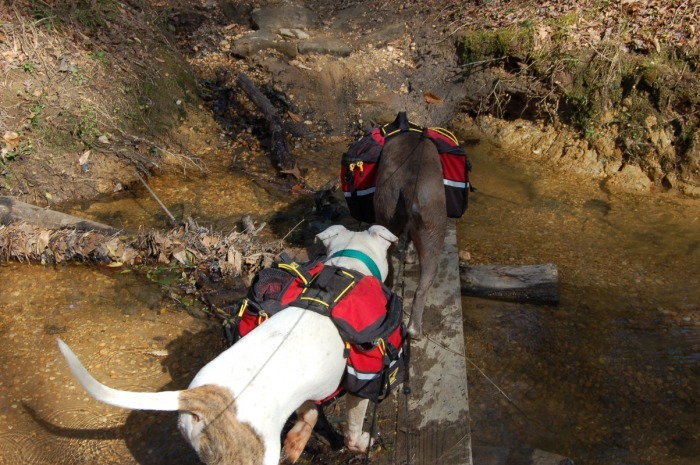 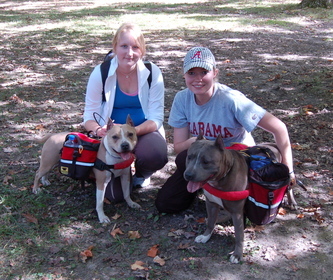 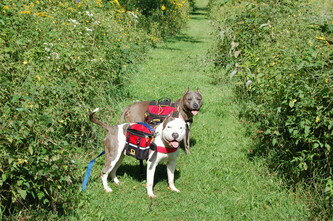 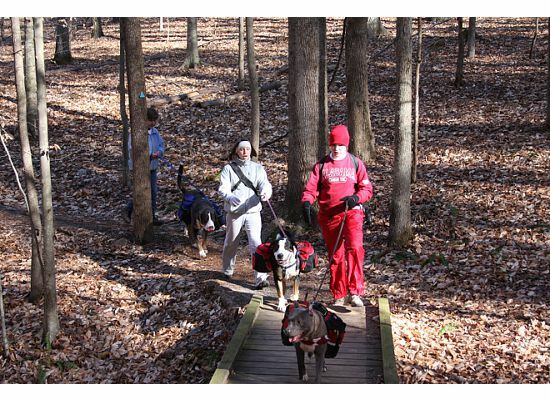 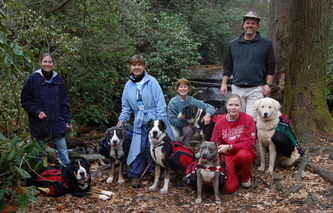 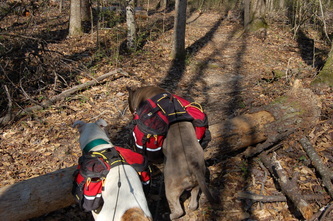 For the Novice Title (NWPD) dogs must complete 4 hikes of a minimum of 8 miles each carrying 20% of their body weight. 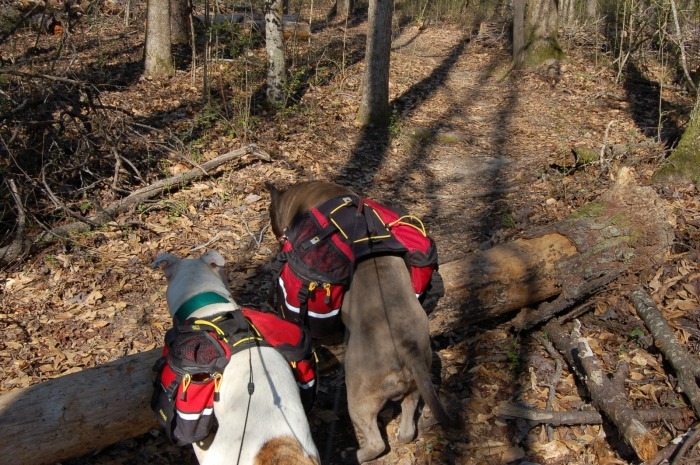 For the Open Title (WPD) dogs must complete 5 hikes carrying 20% of their body weight or 4 hikes carrying 30% of their body weight. 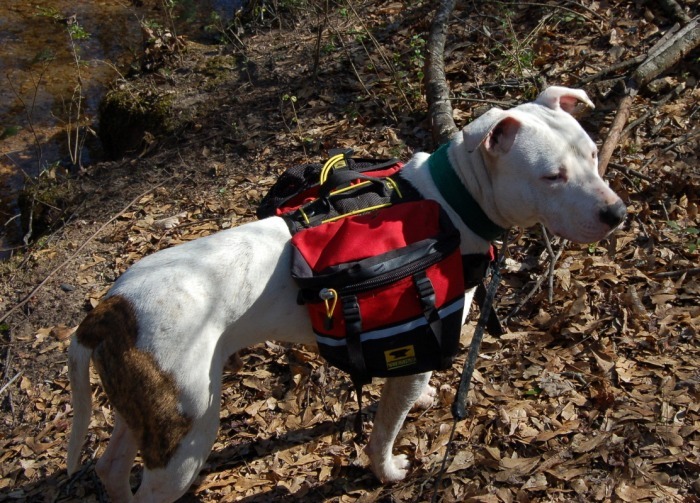 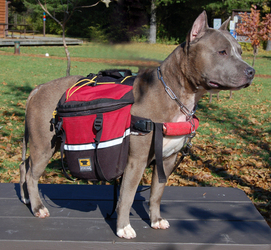 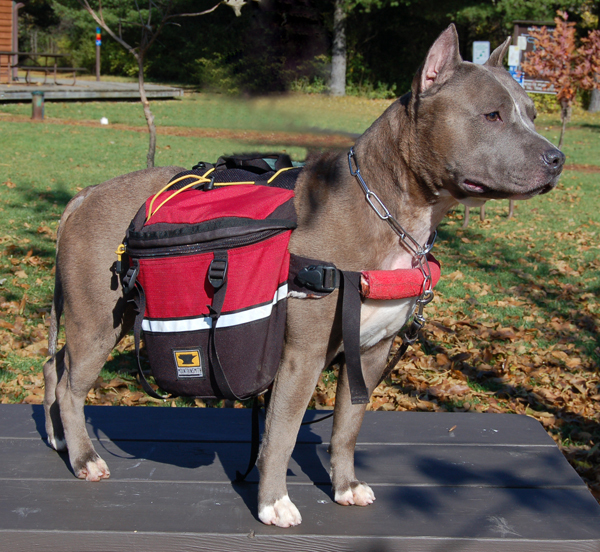 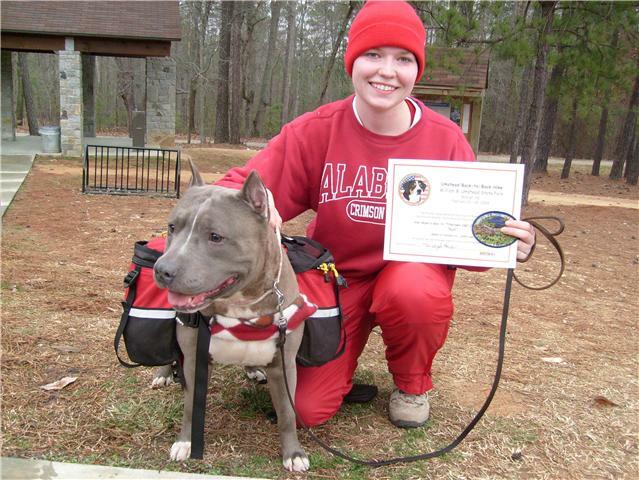 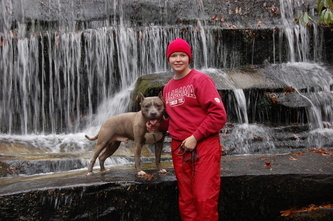 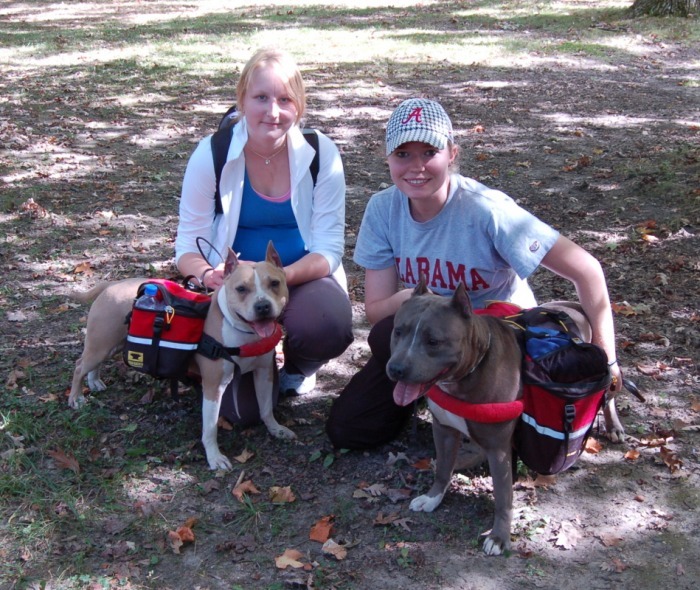 We believe Rush is the first Amstaff on record to earn a sanctioned Pack Dog Title. Rush completed his NWPD at the Umstead State Park, Raleigh, NC hike in February of 2009. 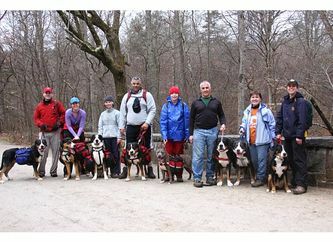 All 4 of our NWPD hikes were done in temperatures between 20-40 degrees and 2 were done in the rain. 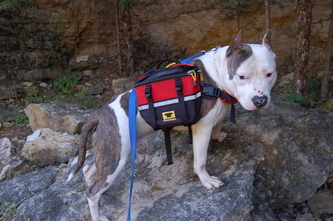 Rush completed his WPD on 9/11/10, Rush hiked on the Open level at the 30% weight which has had him packing 16-18 lbs for each of the 10 mile hikes. 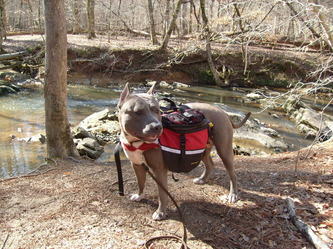 Sidle completed 1 NWPD hike before she retired and Orla has earned 1 NWPD leg and will have 2 more hikes in 2010 and complete her title in 2011. Q will also start hiking in 2010. Enjoy some of our training and sanctioned hike pics below!